By early childhood much of the world population, especially people of African, Asian, and Greek descent, loses the ability to produce sufficient amounts of the digestive enzyme lactase. In fact, lactase production decreases an average of 90 percent by age five, resulting in poor lactose digestion. This is believed to be the natural course for humans and a similar situation can be seen in many other mammal species after they wean from their "mother's milk." However, in some populations such as Swedes, Finns and Caucasians in United States, the incidence of lactose intolerance is low (<12 percent). It is believed that this is the result of genetic change that occurred long ago, which minimized the reduction in lactase production, resulting in this trait today. 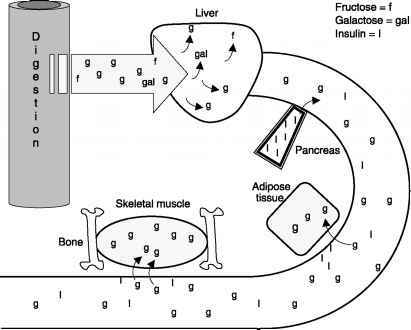 Figure 4.2 When blood glucose levels become elevated our pancreas releases insulin, which promotes the uptake of glucose in muscle and fat cells. 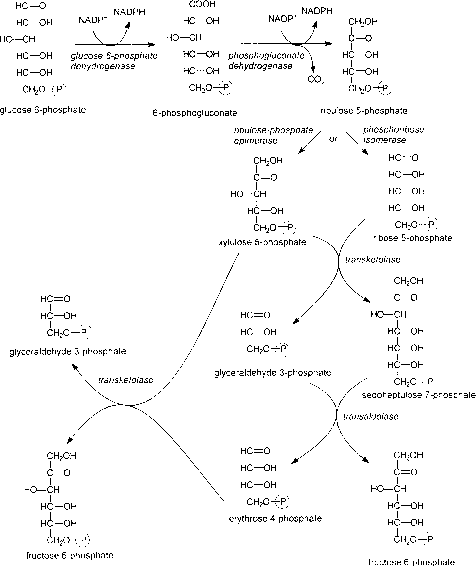 Meanwhile, fructose and galactose are taken up by the liver. the small intestine into the colon where it becomes available to bacteria. Bacteria easily break down lactose for energy and produce gases such as hydrogen gas (H2) and carbon dioxide (CO2) and other substances in the process. Lactose intolerance can be diagnosed by the Hydrogen Breath Test during which 50 grams of lactose is provided and the amount of H2 in breath (derived from production in the intestines) is measured. 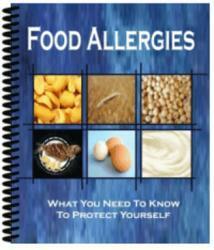 The gases produced in lactose-intolerant people can lead to bloating, cramping, and flatulence. Furthermore, as lactose moves through the digestive tract it will hold onto water, which softens feces and possibly produces diarrhea. These discomforts are collectively referred to as lactose intolerance. To deal with lactose intolerance, many people add a product called Lactaid (lactase enzyme) to their milk to predigest the lactose. Lactaid milk containing pre-digested lactose is also available. This appears to be an effective method of adapting to lactose intolerance.